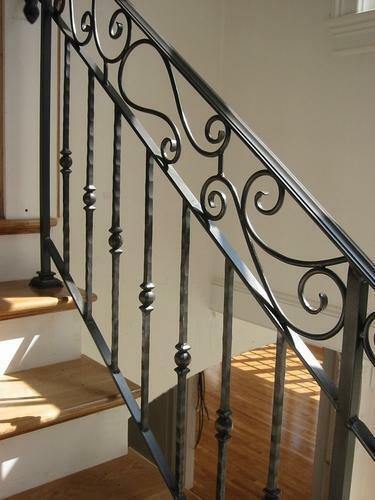 We have in store for our clients Cast Iron Stair Case Railing that are manufactured using qualitative cast iron. Rugged in construction these railings are highly durable and are utilized for the safety purposes as well serves the purpose of beautifying the staircase area. We make sure that the edges of these railings are well polished and provided with a modern look. Further, the range is offered in varied metallic colors that enhance the beauty of the interior. Capitalizing on our in depth industry expertise, we are offering a wide range of builder hardware products, which are made using quality raw material procured from reliable vendors across the nation. The extensive range of products is highly demanded in commercial as well as domestic construction. Our range is hugely appreciated by our clients for its compact in design and extremely easy to install. We provide customization of products to our clients in a given time line at industry leading prices. Moreover, our timely delivery services and competitive price helped us to gain huge clientele across the country. Our range includes Stainless Steel Bench, Stainless Steel Dining Tables, Stainless Steel Waiting Bench, Stainless Steel Waiting Bench, Stainless Steel Sofa, Stainless Steel Chair, Stainless Steel Stair Balusters, Swing Gates, Balcony Grill, Stainless Steel Door Grill, Stainless Steel Spiral Stairs, Boundary Railing, Stainless Steel Wooden Railing, Brass Railing, Stainless Steel Interior Railing, Stainless Steel Railings, Modular Stainless Steel Railing, Stainless Steel Stair Railing, Precision Machinery Parts, Spiral Staircase, SS Lamp Post etc.